You‘ve been tasked with teaching the personal financial requirements in your school and state. That means you're either in 1 of the 17 states that has state-mandated personal finance requirements, or your state + school has set guidelines and you'd like to follow them. After all, money is such an important topic to teach students! But your money confidence level is just not what you want it to be. Does the idea of teaching money (and even handling it) give you the squirms? You’re not alone. Having a below-average confidence level about teaching money is pretty common among teachers. It's not like you went to college to study money. Heck, you might have only been required to take one basic economic course to satisfy your graduation requirements. So how are you going to teach this vitally important topic to your students without having to confront your own money insecurities (heads up, we all have them)? Without boring worksheets that won't really do the subject justice? And, MOST IMPORTANTLY, while meeting some or all of your state requirements? I’ve created a robust money course, disguised as an epic Choose-Your-Own-Adventure group program. Your kids will devour this. And it's happening against the backdrop of Everest. Because the highest mountain on earth — almost-insurmountable to all but a few — is the perfect backdrop to broaden your students' money frame of reference. Even if the average person had the strength and endurance to summit Everest, the money that it costs ($65,000 is a typical estimate) puts it far out of reach for almost everyone. 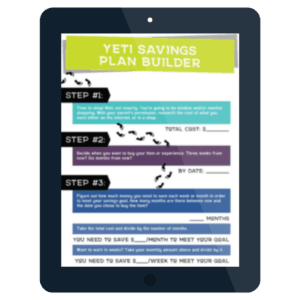 Your kids will learn how to nail a realistic savings plan for Everest. And after learning how to do that, they'll be able to nail any savings goal they could think of. Conquering one’s dream takes money. That’s where your students come in. Erik, our fictitious, 28-year old climber, has a dream to summit Everest. 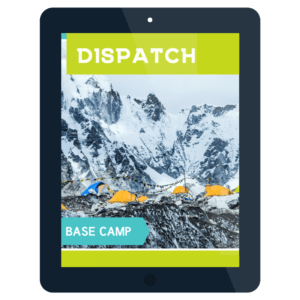 He's roped our group − his Everest Ground Support Team − into the process, and it's our mission to get him to the mountain and down again without going into debt. 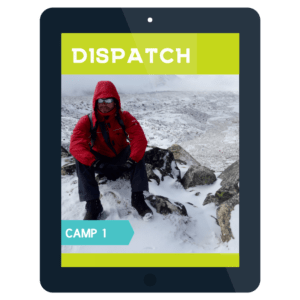 Psst: And by the way, this program is based on real, actual events that have occurred or could easily occur on the mountain, backed up by over 30+ books, interviews of summiters, 100+ hours of footage, etc. I'm kinda a brainiac + perfectionist that way. Reach a target money savings goal, based on 5 key decisions we make as a team. Craft a realistic savings plan for how to reach that target money goal. Work through 3 money problems Erik encounters while on the Mountain. No two simulations will turn out the same! There are too many cool variables involved for that. Psst: And the best part? All the while, we'll be bridging your students' money education crevasse without them even knowing it. Because they'll be having too much fun! This is a live simulation, delivered by a Certified Financial Education Instructor (yours, truly). Which means, spots are limited. 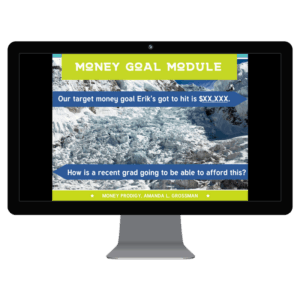 Mission Reveal: Get Erik to Everest and back, without going into debt. 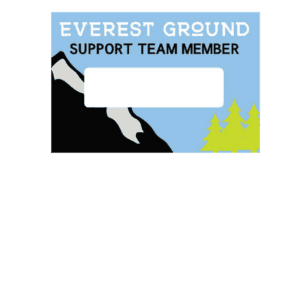 Your child joins the Everest Ground Support Team. Rent or buy three specific pieces of equipment? Which expedition company to use? 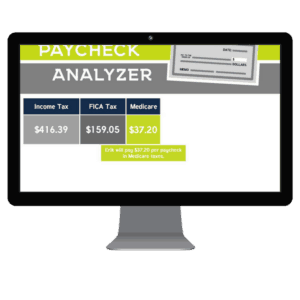 Paycheck analyzer module that breaks down Erik's paycheck before and after taxes. Bills Analyzer that breaks down how much of Erik's paycheck is left after typical “adult” bills are paid. Think-on-your-feet, including specific variables chosen by the group that lead to limitations and resources. 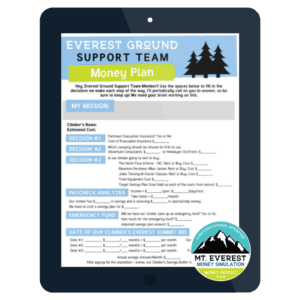 Each Everest Ground Support Team Member fills out a Money Plan Worksheet to follow along. Includes 9 various money calculations that are directly transferable to everyday adult money skills. We want their learning to continue, post-simulation, so I'll be giving them a money action challenge. Email me, and upon completion, they'll receive a (super) fun digital surprise from me for free! Are you ready to secure your classroom‘s spot, while checking off those personal finance requirements? Live classroom simulations are grant-funded. Get on the waiting list by clicking below, and I'll work down the list on a first-come, first-served basis. YAS! Get my classroom on the waiting list. Here’s the thing. Not only do I feel qualified to teach your students how to save money, but I darn well Looooovvveeeee the subject. Do you remember having a dream as a kid you just knew you would never realize because it was as financially unreachable as Pluto is to the Space Program? I did. I knew I wanted to study abroad in Spain the day I flipped to a random page in my 7th-grade Spanish textbook and landed on a Museo del Prado painting. But I grew up on a family-run dairy farm. My parents constantly fought about money, not to mention both declared bankruptcy within ten years of one another. It was hard enough to ask for a new pair of sneakers, let alone for thousands of dollars to go on a trip. The amount of stress was palpable, and fear is how decisions were made. Somehow I found the stick-to-it-ness to work on my dream to get to Spain, despite not knowing whether I would ever actually reach it. I mucked our neighbors' horse stalls for two years, earning $98/week. I worked weekends on our farm's pumpkin stand in the fall for some extra income. Fast forward 4 years and I was a junior in high school. It was the last summer of my high school career, so if I wanted to do this, I had to apply (and fast). The only problem? I was still $1,000 short. Just $1,000 was standing between me and that dream I had had 4 years earlier, but it might as well have been a double-sided fortress. Still not wanting to give up, I made a Hail Mary move by applying for a $1,000 study abroad scholarship offered by our high school. I interviewed, and I waited. That afternoon when I heard my name called over the speaker system, announcing to the whole school that I had won the $1,000 study abroad scholarship, still brings chills to me as I type this today. Just months later, I became a foreign exchange student in Villadiego, Spain for an amazing 6 weeks. And it changed my life forever. 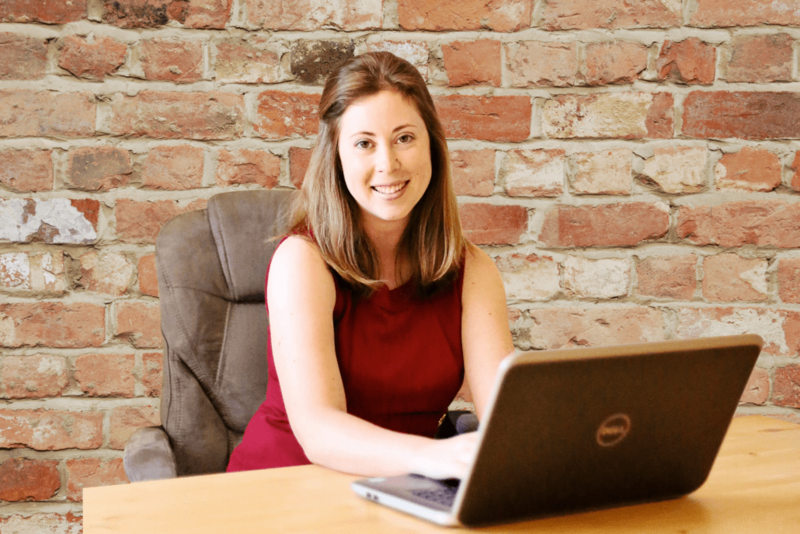 My focus is to prevent the sort of money catastrophe that unfolded in our household growing up from happening to your child by filling in the sorely needed money education gap as early as possible. And it’s not just that; for me, it’s personal. I’m building the program I want my 19-month old son to take one day. An ounce of money education-prevention could be worth $26,736, or $59,496, or fill in the blank of future lifetime debt-interest-payments-turned savings instead. I have some students who are complete money newbies, and others who have had allowances for years. Will this program be appropriate for everyone? This program is meant for money newbies, plus those that have been handling their money for a few years. Why is that? Because, quite honestly, even most adults are handling their money wrong (and they've had their hands on it for years!). There are many things you child will learn if they're more advanced, and we'll be starting from the bottom up for those who are pretty new to money. Since it's housed in an adventure program, no one will get bored working through it, no matter which category they fall into. How do I know if the kids have really learned the information? Each simulation begins with a small test of money questions, and ends with that same test. The first test establishes a baseline money knowledge, and the second test will show us how much money information the kids have gained through the program. We have limited time available. How long will this simulation take? The entire simulation program from start to finish takes between 2.5-3 hours. However, I know you're working under time constraints! So I've developed ways to shorten the program without losing any of the quality. Shoot me an email ([email protected]) about what time your schedule will allow, and we can work from there. My class is really large/small. Can you accommodate different group sizes? Absolutely. There are variations built into the program depending upon a large or small group. Shoot me an email ([email protected]) with your class size to see how we can accommodate that. I see you're located in Houston, Texas. We're in a different state. Would you be able to do the simulation at our school still? This will depend on some variables, including whether or not the grant funding we secure can include travel costs. The backup plan? Having the simulation live, online. This is in development. How can we make sure to cover each of our state's money reqs or guidelines? State money teaching requirements and guidelines vary substantially, and they also vary by grade. The program is designed to meet some of these requirements within Texas. There are also areas in the program where additional sections can easily be added to address specific state requirements (such as the paycheck analyzer, rent-to-own financial lesson, credit, debt, etc.). Email me ([email protected]) with your specific state requirements that you are looking to fulfill, and I'll get back to you with ideas/how this program specifically fulfills whichever ones it can accomodate. How will the students be able to apply + retain this information once the simulation is over? Your students will be filling out an Everest Ground Support Team Money Plan as we go along in the simulation, and will get to take this home. On top of that, if they complete the Money Action Homework, they'll get a free digital surprise from me that they can use when crafting their savings plans for any money goal they have moving forward in life. 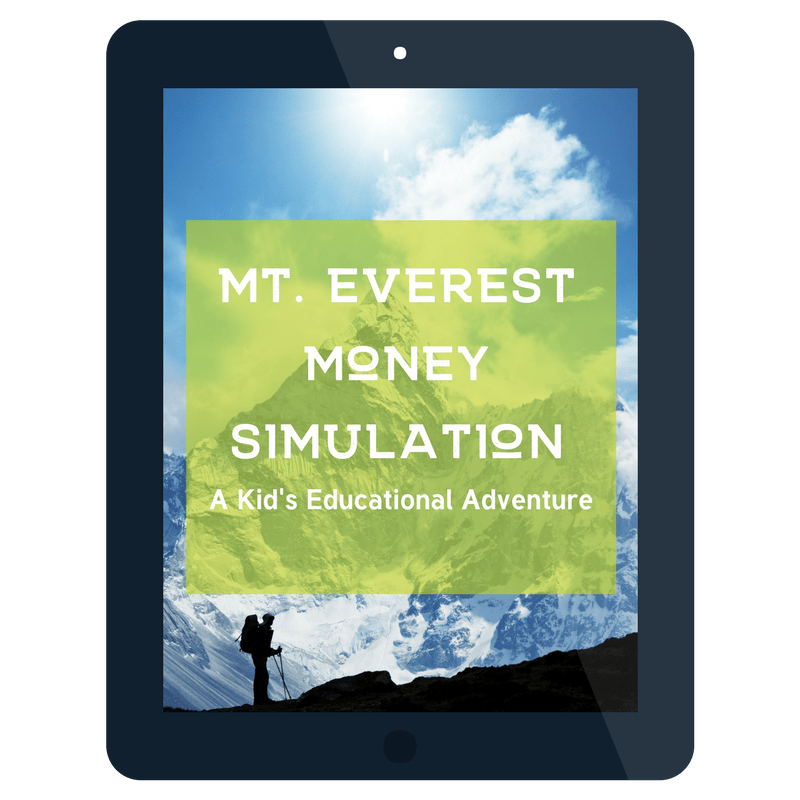 I've prepared a PDF worksheet for them to take home to their parents that briefly describes both the Money Action Homework, as well as the overall simulation they just took part in. Are you teaching my students to climb Everest, (*ahem*) something I don't want them to do? Don't worry. I outline all of the dangers and improbabilities a climb on Everest entails. So they'll get the full story from my end on how difficult an Everest Summit bid can be. What if some of my students are too shy in the large group setting to actually answer questions, will they still learn? 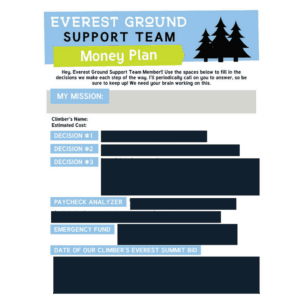 Each child will be responsible for filling out an Everest Ground Support Team Money Plan as we move through the simulation, with my oversight. 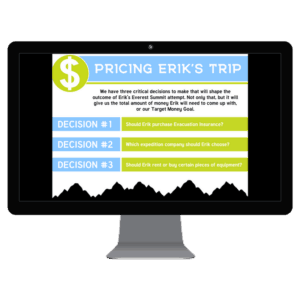 We'll also be working in smaller groups on some of the money issues Erik encounters on the mountain, which will give each student a better chance of wanting to speak up. What technology + materials will I need to provide on my end? I'll be supplying the worksheets, the name badges, the Powerpoint Program (as well as have a laptop to deliver the program). I'll need you to provide a screen of some sort, a projector, enough scissors for each student, and calculators. Also, each student should have paper to write on, and a pen or pencil.